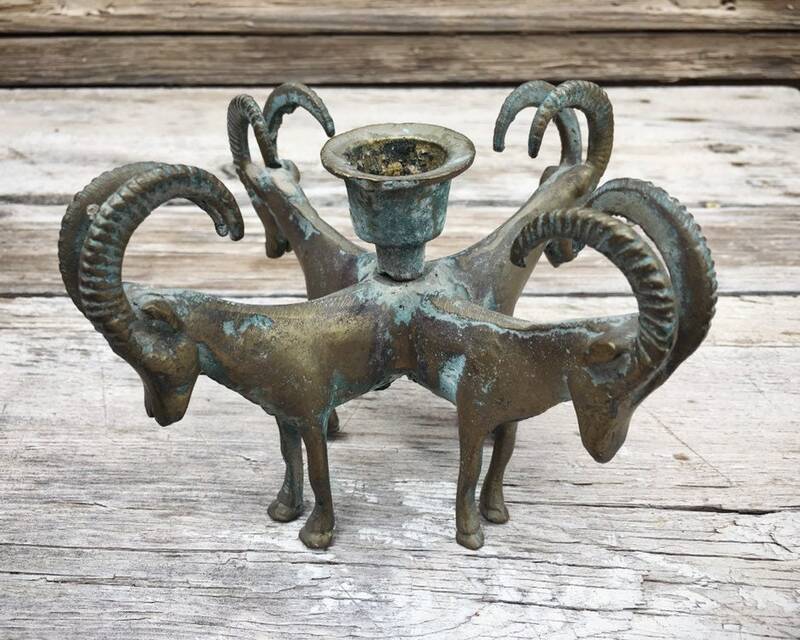 This vintage brass candleholder features four mountain goats, or rams. 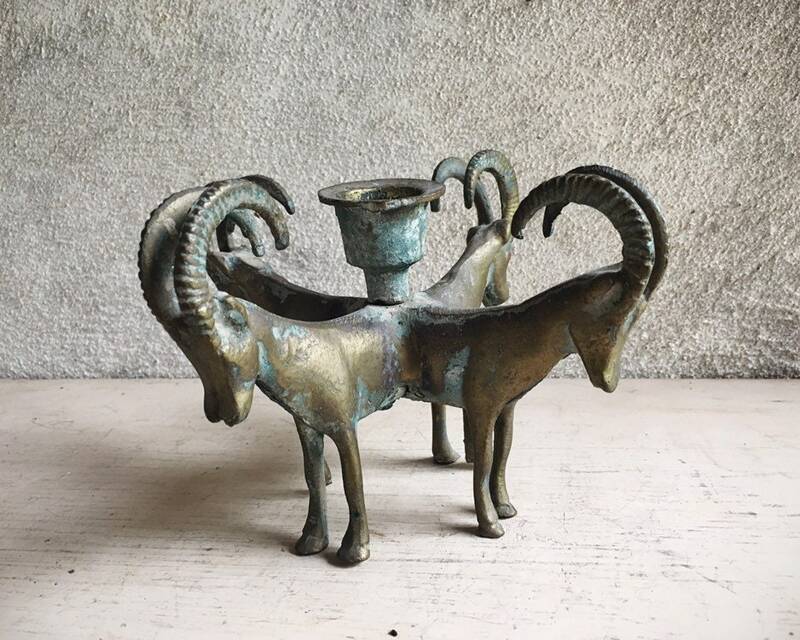 I was drawn to the patina of the piece, which had that beautiful green-almost-teal verdigris that older brass will get. 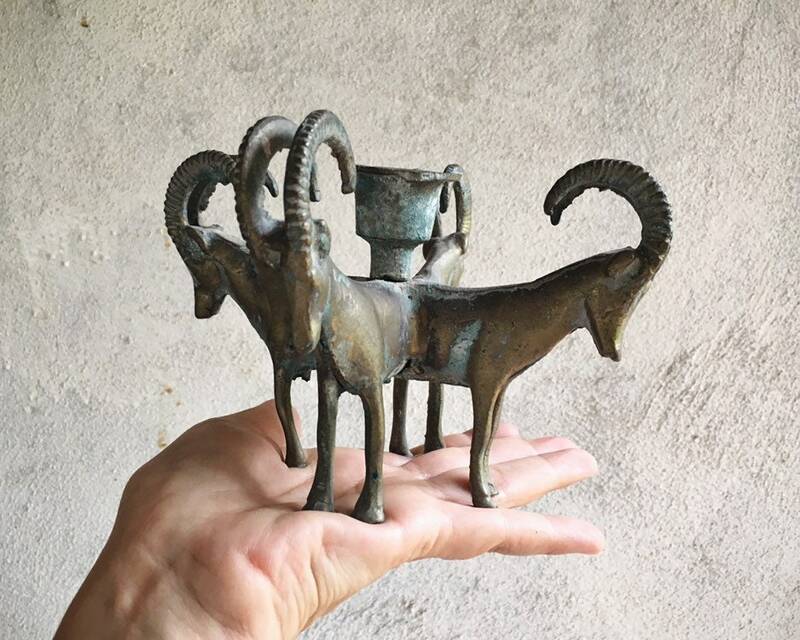 And the figurals--mountain goats are native to desert mountains, which we have here in New Mexico, and they are so sure-footed. I felt they must be a good luck symbol, as being sure footed in today's world is surely a good thing. And the ram, a humble animal yet one that can defend itself through the built-in defense of horns. What a brilliant turn of nature! I would display the candleholder on a table setting as a center piece for a smaller setting, or set with other unique candle holders on a shelf. The beauty of vintage today is the ability to mix and match eras, materials, beauty. 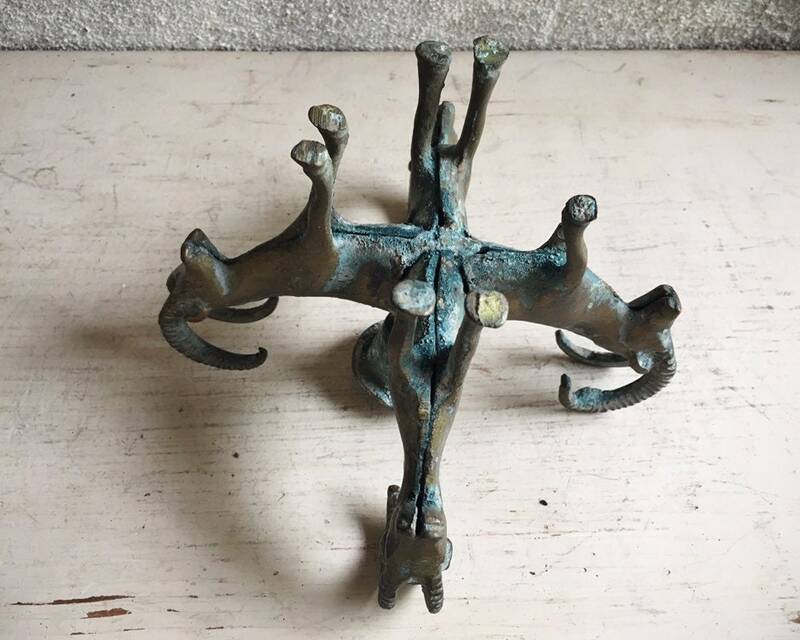 The piece measures about 4" tall by about 6-3/4" across in all directions. 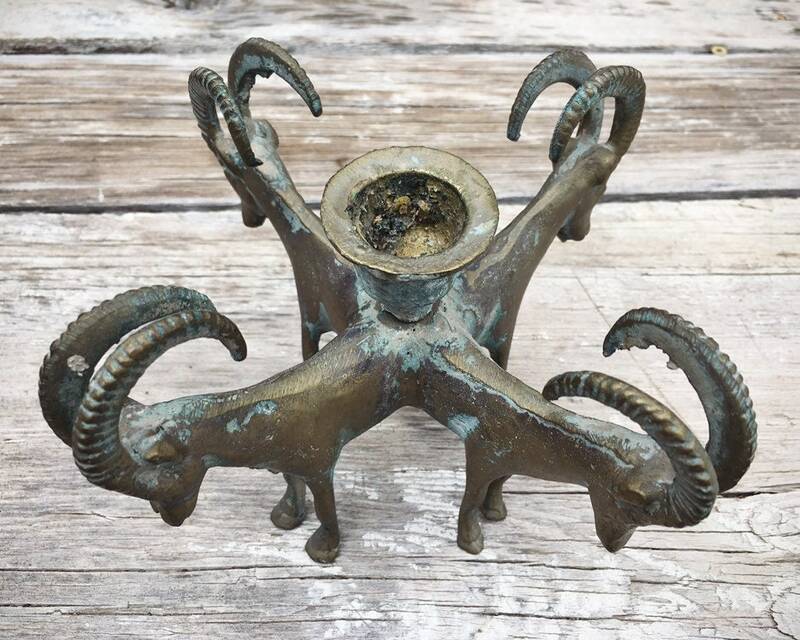 The opening of the candleholder is 7/8" in diameter. Other than the verdigris, in good condition. Because you just don't find treasures like this made today. A beautiful piece! 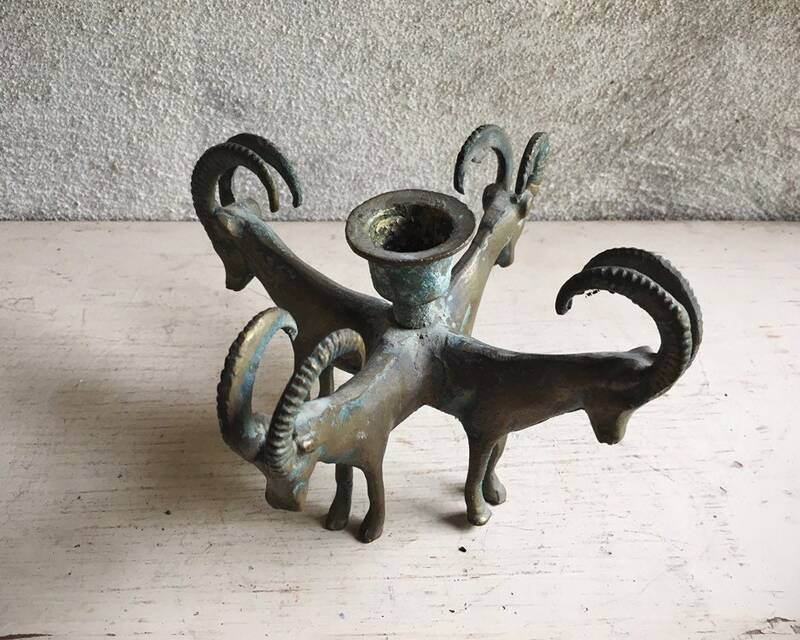 I wasn’t expecting a leg to be missing on one goat.